City Hostel is located right in the middle of downtown St.John's, only 5 minutes walk to the waterfront and a 10 minute walk from George Street and all the other major amenities (like you'll need anything else!). City Hostel is owned and operated by two experienced travelers who saw a need for a hostel within their hometown. We provide a friendly atmosphere based on our own travel experiences and try to minimize the hassle that we dislike so much about travelling! We provide local information and tour/sightseeing discounts on site. We offer private and dormitory rooms at very reasonable prices. Really enjoyed my short stay. The facilities and staff are excellent and would highly recommend the City Hostel, Saint Johns! I thoroughly enjoyed my stay at City Centre Hostel! It was my first time in a hostel! 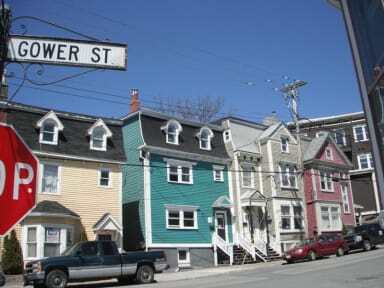 The environment is like the rest of the homes in St John’s, NL! Everyone one I spoke to were friendly including my booking and requesting a few personal things I required like a bottom bunk! It was a positive experience getting to know other travelers! It was an excellent experience! Very clean! There was always someone around to help! Breakfast included! Very safe! Loved it all! Wonderful stay, very welcoming, staff exceptional, location right in St. John's, makes it easy to just walk around the city. As a 70 year old woman who likes to travel, I enjoyed eating breakfast with young people from all over the world who were kind and friendly. One of the coziest hostels I've had the pleasure to stay in. Most contact will be with the amazing volunteers there who keep the place very tidy. Great breakfast included with very tasty muffins fresh every morning, you can make your own waffles or pancakes, cereal or toast. The kitchen is a bit small perhaps but has everything needed for cooking. Cozy common room (and Netflix! 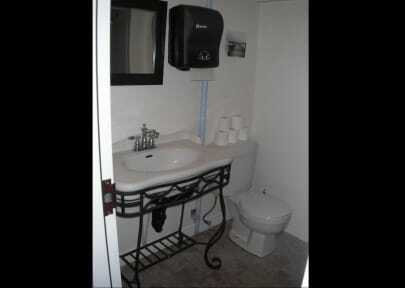 ), decent bathrooms (could use 1 more tho). There's always other guests looking to share transport across NL. Central. Really good stay at this hostel! Fab location for town and for hiking. Really friendly staff and a chilled atmosphere. Would stay again! Private room, 2p. The staff consisted exclusively of volunteer travelers who worked for room and boarding at the hostel, and who were all warm and friendly, and this made the atmosphere great—but also means you have to be lucky with whom you get. The downside, however, was definitely the cost: we spent about $1000 CAD for 11 nights, which is steep for a hostel, and it could certainly have been a bit cleaner. The beautiful location compensated for a lot, but in the end we wouldn't do it again.